A drink is not a Scotch and a Scotch is not always Black Dog Triple Gold Reserve. As Triple Gold is poured out, the light reflects and the heart grows impatient. One sip is what is needed. But, does that quench the thirst? Does that satiate the terrible longing of holding the glass? Does that satiate the desire of indulging in that golden liquid pure stream of delight? No. One sip leads to the next one and the next one is even better. This goes on till the glass is drained. But fret not. The sun rises again and there is another day. If the day comes, evening is not far behind. Your evening brings with it the time of enjoyment — Time for you and Triple Gold Reserve. What makes Black Dog Triple Gold reserve so special? How can one so young be so old? How can a drink be so perfect? The perfection lies in the brewing process. The special casks of the single malt whiskey and the grain whiskey, the casks themselves and the third maturation hold that key. 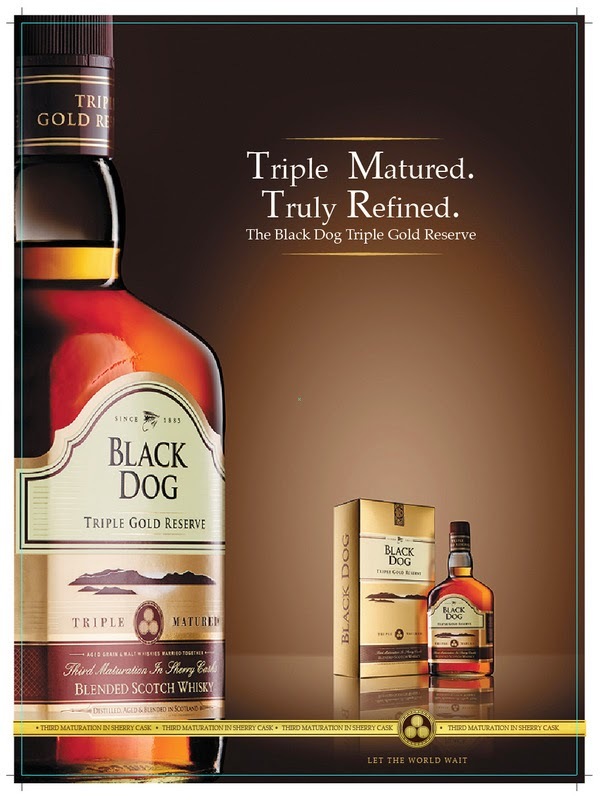 Yes, class, indeed at times comes with maturity and Black Dog Triple Gold reserve has attained it. Triple Gold reserve is not everyone’s poison. This post is an entry to Black Dog Blogathlon Contest. The content of this post is directed only to people above the age of 25.